To print this page or any image of the O Katana gallery just press "Ctrl+P" on your keyboard. Thank you for staying with us. 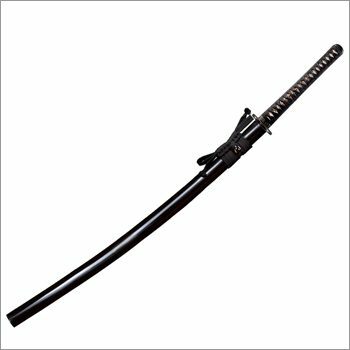 The first use of "katana" (gatana) as a word to describe a long sword that was different from a tachi occurs as early as the Kamakura ... Read more Period (1185â1333). These references to "uchigatana" and "tsubagatana" seem to indicate a different style of sword, possibly a less costly sword for lower-ranking warriors. The evolution of the tachi into the katana seems to have started during the early Muromachi period (1337 to 1573). 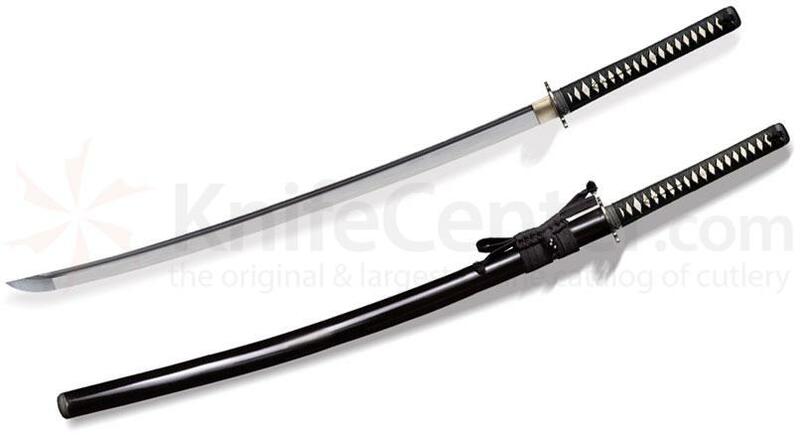 Starting around the year 1400, long swords signed with the "katana" signature were made. This was in response to samurai wearing their tachi in what is now called "katana style" (cutting edge up). Japanese swords are traditionally worn with the signature facing away from the wearer. When a tachi was worn in the style of a katana, with the cutting edge up, the tachi's signature would be facing the wrong way. The fact that swordsmiths started signing swords with a katana signature shows that some samurai of that time period had started wearing their swords in a different manner.